Posted on 26 May 2016 Author Dr. Dinesh kapur	4 Comments on ↗︎ HYPERTENION and ‘colors’! Don’t forget to write what your thought says even before or after applying the concept to upgrade more! Hypertension means high pressure in the arteries. And arteries mean the vessels that carry blood from pumping heart to all of tissues and organs of the body. It can cause blood vessel changes in back of the eye (retina), abnormal thickening of heart muscle, kidney failure and brain damage. Systolic, corresponds to pressure in arteries as heart contracts and pumps blood forward into arteries, affects Heart. Diastolic, represents pressure in arteries as heart relaxes after contraction, it reflects the lowest pressure to which arteries exposed, affects Kidney. An elevation of systolic and/or diastolic blood pressure increases the risk of developing heart (cardiac) disease, kidney (renal) disease, hardening of the arteries (atherosclerosis or arteriosclerosis), eye damage, and stroke (brain damage). These complications of hypertension are often called end-organ damage because damage to these organs is result of chronic high blood pressure. Hypertension a particular abnormality of the arteries in common: an increased resistance (stiffness or lack of elasticity) in the tiny arteries that are most distant from the heart (peripheral arteries or arterioles). The arterioles, which are connected by capillaries in tissues to the veins (venous system) returns the blood to heart and lungs. Most people report headaches especially in occipital (back of the head and more in morning) area, as well as light-headedness, vertigo, buzzing or hissing in the ears, altered vision or fainting episodes. At the same time these symptoms may also be associated with anxiety. Fortunately, TriOrigin ‘color’ too aides’ positivity in syndromes. High effect can be observed when applied properly; clear effect is often felt. The remission of the disease can be achieved and medicaments’ therapy simultaneously can be reduced or eliminated altogether. Lifestyle that lower blood pressures include reduced dietary sodium intake, increased consumption of fruits and low-fat products, engage in regular exercise, weight loss and reduced alcohol intake. Insulin resistance, which is common in obesity and is a part of metabolic syndrome also give to hypertension. Prognosis: To observe positivity one must apply with color permanent marker pen, dots as prescribed. Initially, one should not leave any medication but gradually can be withdrawn. Though, it’s a common problem, and have been highlighted for the benefits of humanity. You may feel free to upload precise details to have authenticated approach. Though, no medicine is recommended, hence any side effect does not arise, if applied properly and regularly. The information provided here is for educational and informational purposes only. In no way one should it be considered as offering medical advice, but a natural one. My mother was serious patient of hyper tension and she was on medicine for two years with out any reduction in dosages but it was only after we came to Dr. Kapur she showed signs of improvement and gradually her problem reduced to minimum. In family, having hypertension with other multiple problems such as diabetes, intestinal problem, prostrate, kidney and so many others, but it is amazing to see the results of TriOrigin through which blood pressure is quite within normal range which could not be controlled even after taking medicine for the last twenty years. Surprising through Dr.Dinesh, it could be posible to bring it within normal range. I am unmarried 35 years. Recently I was diagnosed with hyperacidity and high blood pressure. My BP was recorded as 180/110. Doctors have recommended me medicines but I am afraid to start the medicines as it might have to be continued for a lifetime. Please advise if I can do this therapy at home for treating high bp. Blood pressure reduced within 24 hours using this treatment. 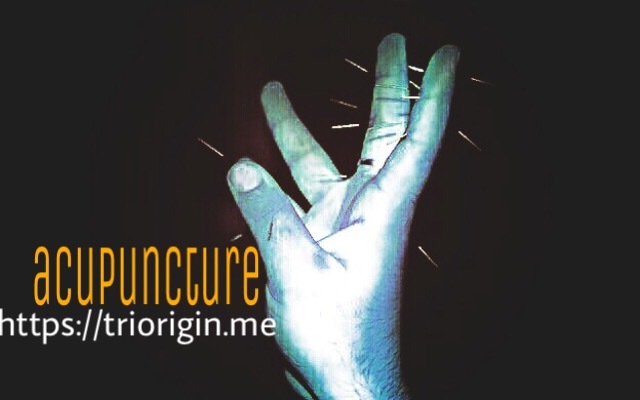 Patient responded extremely well to the TriOrigin ‘onnuri’. Awesome concept!